After a starter and a main course, it has to be a dessert. And that’s what I am going to share today. 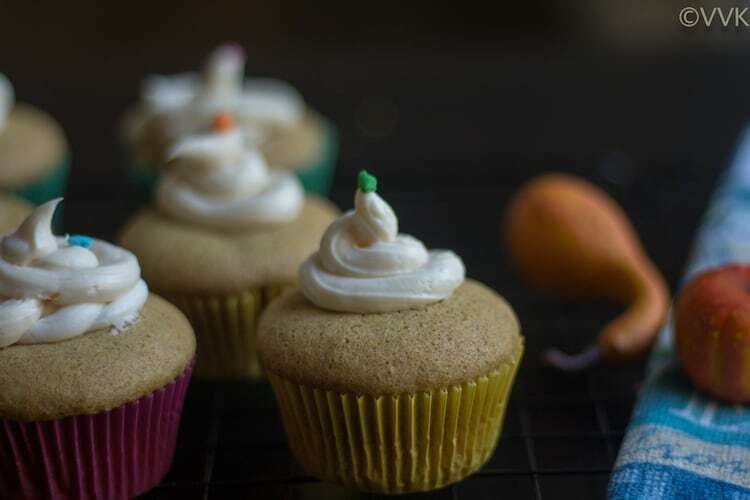 Bring on the holiday spirit with these mini bites of yummylicious, soft, moist and airy Eggless Pumpkin Pie Cupcakes. I love the pumpkin spice and the aroma it spreads while baking. 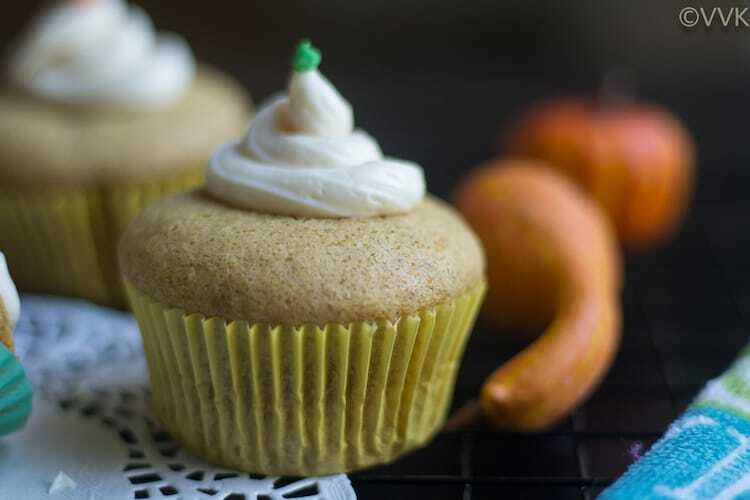 This Thanksgiving instead of pumpkin pie try these simple pumpkin pie cupcakes and wow your guests. 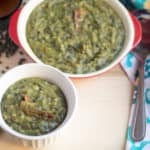 I prepared yet another casserole recipe for this Thanksgiving Theme, which I am planning to post tomorrow. But last Sunday, on a whim I decided to bake some cupcakes with pumpkin puree that I had in hand. 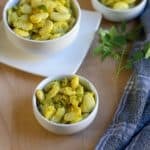 I worked out my recipe, and I wasn’t sure if I will get it right or not. Also, I mixed the ingredients in my way/order. In spite of all these, I went ahead and took step-wise pictures. Glad I did. This cupcake turned out to be a huge hit. I baked only a small batch, and it yielded me 6 cupcakes. M and I got just one for each and rest all became Vaandu’s share. (No, I did not let him eat all at once). He generously let me take a video and post it on IG as well. I am sure I will be baking these again this season. As it was an unplanned recipe, I did not have all ingredients for the frosting. Luckily I had store bought cream cheese frosting that I bought along with Wilton cake décor kit for practicing. 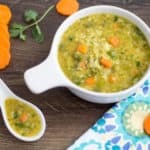 I used that for this recipe. As you can see from the picture, I have a long way to go when it comes to cake decoration. Hopefully this holiday season, I can learn a bit more. 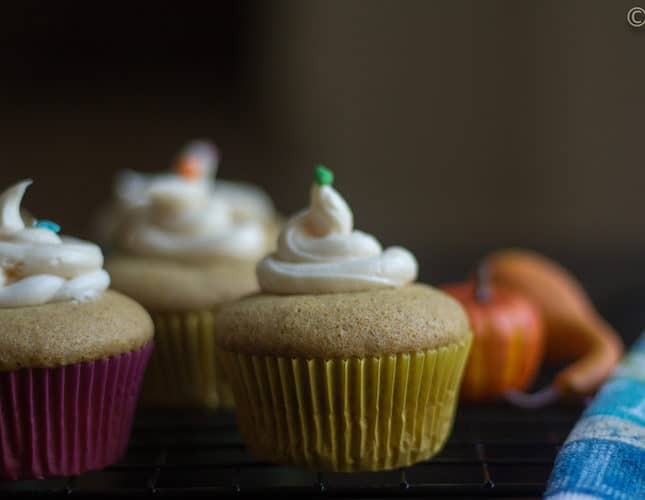 Bring on the holiday spirit with these mini bites of yummylicious, soft, moist and airy Eggless Pumpkin Pie Cupcakes flavored with pumpkin spice. Frosting of your choice – ¾ cup. I used cream cheese frosting. Sieve the APF and set aside. Line the muffin tray with cupcake liners/wrappers or silicone molds. Pre-heat the oven to 350 deg F.
In a mixing bowl add pumpkin puree, vanilla essence, milk and pumpkin spice. Mix them using a hand whisk and ensure the ingredients are well incorporated. Then add the sugar and mix again. The puree mix will be watery like below. Then add the oil and mix. At this stage add the APF, salt, baking powder, baking soda. Combine them together and if required add 1 tbsp of milk. 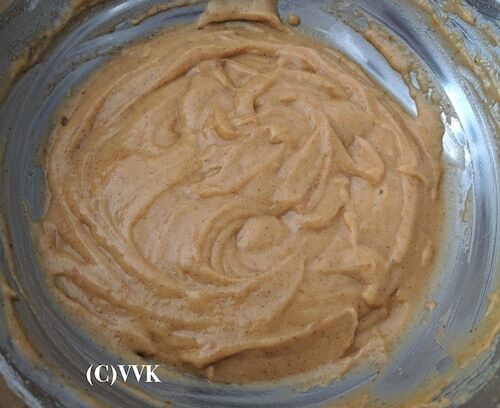 (The cake mix is too thick) The batter should be smooth and moist like below. 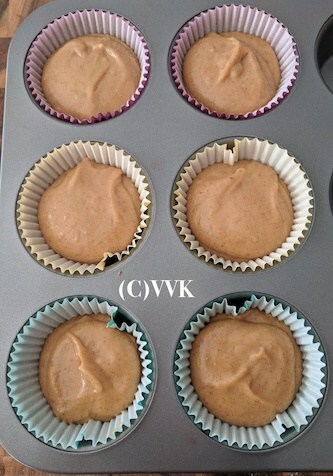 Now scoop out the cake mix using a cookie scooper or spoon and fill 2/3rd the cupcake liners. I used about 1.5 tbsps approximately. I should have added little less as I ran out of the cake mix for my 6th one, but that raised correctly up to the cupcake liner brim. Bake this for 12 – 15 minutes in the preheated oven at 350 deg F. I baked it for 15 minutes. Start checking after 12 minutes. 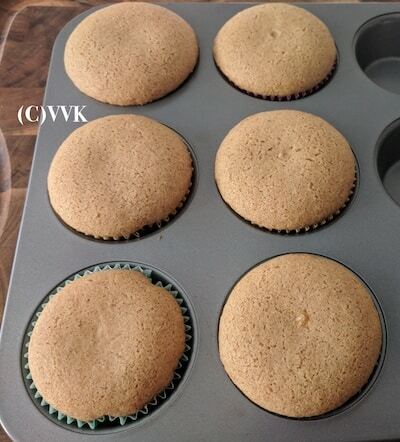 Insert a toothpick in the middle of the cupcake and if it comes out clean, let them cool. Once cooled, use your desired frosting and decorate the cakes. I used store bought pumpkin puree, and it was thick. 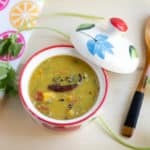 If you are using homemade thin consistency puree, decrease the quantity of milk and add 2 tbsp of condensed milk. 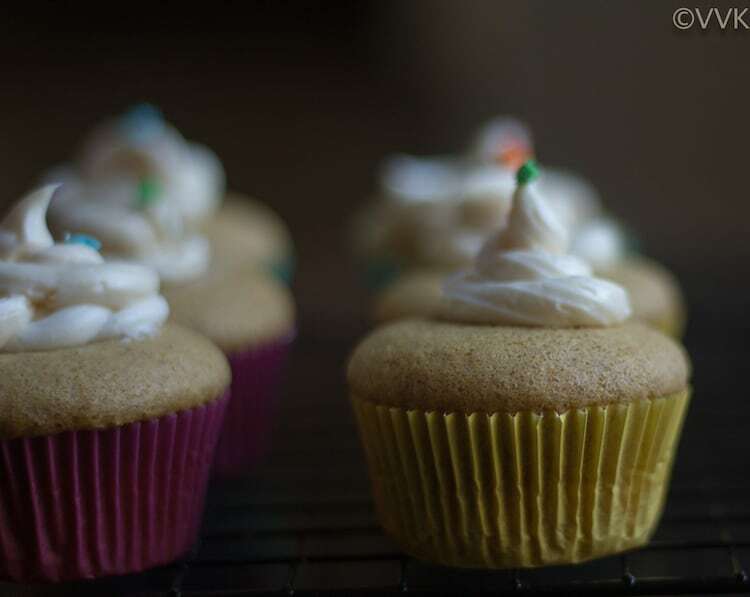 You can add allspice mix also for these cupcakes. Sending this blogging marathon #82. 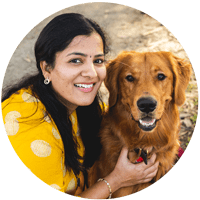 Check out the other bloggers participating in this marathon. oh my god these look delicious! ? Never tried baking with pumpkin puree. Need to bookmark these as it is one of the ways I can make my vaandu eat pumpkin! Oh come on Vidya , the frosting looks pretty good … and so do the cup cakes . 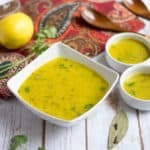 I have never worked with pumpkin purée , must try this version . Thanks a lot for your kind words Vaishali. Pumpkin pie cupcakes look perfect. Never tried any thing with pumpkin. Pumpkin puree is no problem. I’m afraid I will not get pumpkin spice here. Any substitute for that? oh yeah. 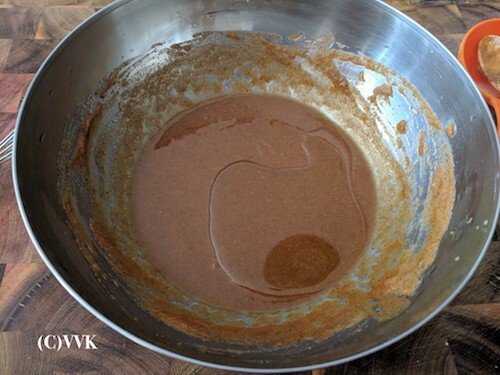 You can add a mix of cinnamon powder, clove powder, and some nutmeg powder. :-) Thanks, Ritu. I am not a pie person, but love the pumpkin spice flavors. This is a great recipe to use the pumpkin pie flavors. I am bookmarking this to try soon. The cupcakes have turned out perfect. Nice texture. Such lovely looking cupcakes Vidhya — perfectly domed, moist and delicious. Perfect fall treat. Pumpkin pie flavors are my absolute favorite. Those cupcakes look super yummy and tasty. 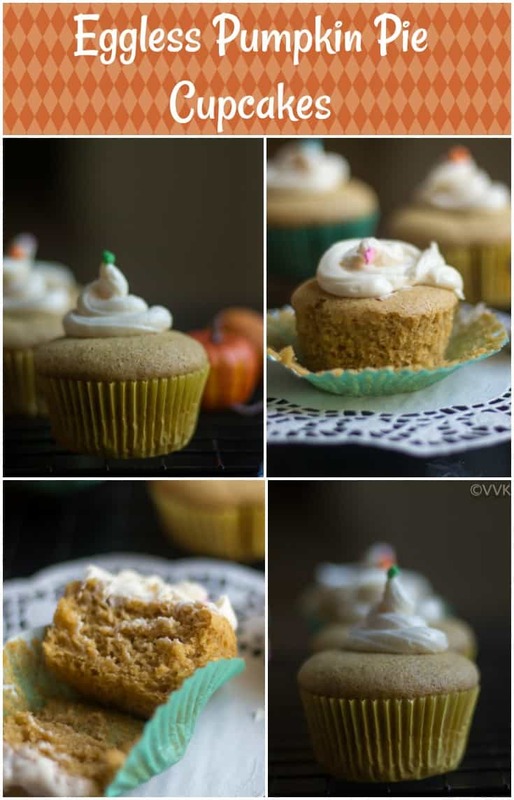 Those pumpkin pie cupcakes looks damn cute and how soft and spongy they looks, they looks super delicious.